OCS is a locally owned collision repair shop that truly cares about their customers and community. Collision repair is a rapidly changing industry. Currently, the industry has seen a rapid influx of multi- location aka “chain” collision centers. What is the difference between OCS and a multi-chain repair facility? Everything. You can trust Owasso Collision to handle every aspect of your repair with integrity and accountability. Roger Higinbotham, the owner, is onsite daily overseeing vehicle repair procedures and technicians. OCS is equipped with 16 interior cameras to insure work is done accurately and efficiently. Our customers feel confident knowing that an actual owner is available daily to answer questions and oversee their repair. As an independent repair facility, our loyalty is to you, our customer, not the insurance company. Although Owasso Collision accepts all insurance carriers, we are not bound by any contractual agreements with insurance companies. What does this mean for you? Simply, we are here to provide our customers the finest quality repair without the insurance company forcing us to save them money. OCS will never compromise the integrity of a repair in order to save the insurance company money. 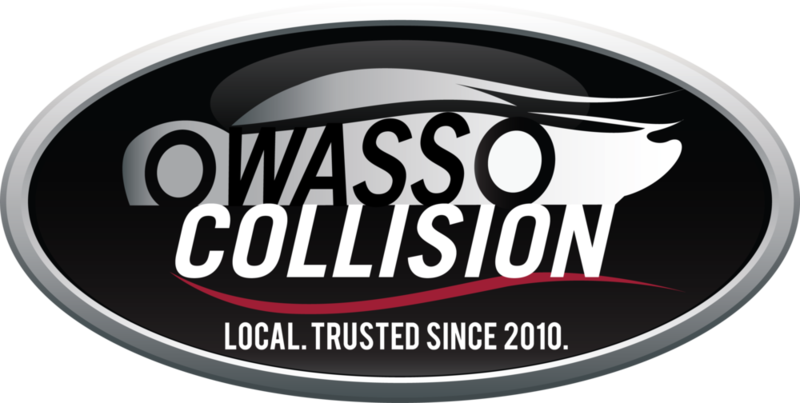 As a local business, Owasso Collision is a member of the Owasso Chamber of Commerce and has had an A+ rating with the BBB since opening in 2010. A portion of our proceeds go back to support our local community. OCS is a proud supporter of Owasso Public Schools and the Ram Academy, Project Hope, and more.